Founded by Charles Birnbaum, The Cultural Landscape Foundation (TCLF), is a Washington, DC-based non-profit organization that provides people with the tools to see, understand and value cultural landscapes and the designers, planners and landscape architects that help to create these places. TCLF’s What’s Out There (WOT) guides and the associated online database serve as a reference to cultural landscapes for the public, academics and professionals. The guides provokes interest, informs stewardship decisions, and enriches the collective understanding of our designed landscape history. In print and online, the WOT guides are a series of publications that serve as unique place-based model to the cultural landscapes of selected cities in North America. The undergraduate and graduate student groups each were tasked with contributing to the dialogue on the importance of cultural landscapes within the City of Toronto and to inform the work of TCLF. The groups developed comprehensive reports that outlined the various forms and sites of cultural heritage that exist in Toronto across temporal and spatial scales. 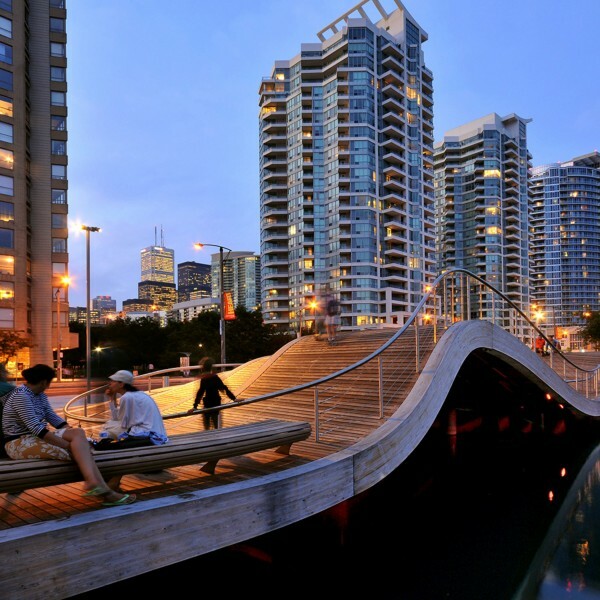 The primary mandate of the reports were to identify cultural landscapes in Toronto by highlighting features including their connections to the public realm and local history, to highlight the importance of the protection of these landscapes, and to educate the public to promote awareness and stewardship of cultural landscapes and emphasize their role in the process.